Hello! The Taylored Expressions 5th Birthday Bash is continuing this week with a new Share Joy Campaign, benefiting the Union Rescue Mission of Los Angeles, Prodigal's Home of Phoenix, and Iowa Homeless Youth Shelter of Des Moines. These wonderful charities work tirelessly to bring comfort and care to many homeless individuals and families throughout the year. One way they are sharing joy each and every day is by celebrating the birthdays of their participants, and you can help by sending in your handmade birthday cards! 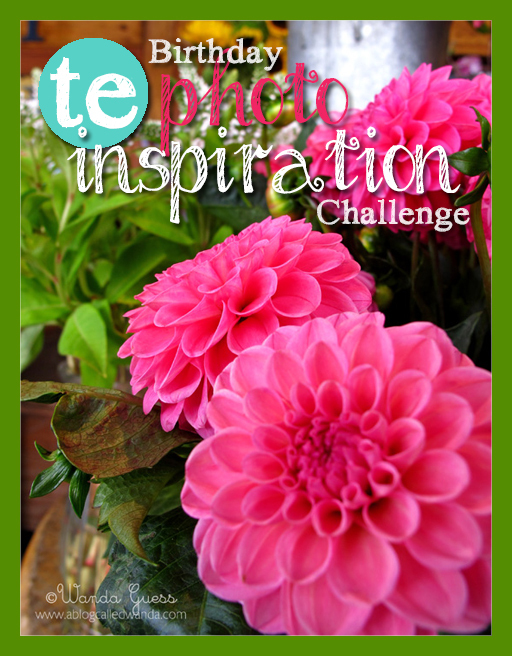 This week, Taylored Expressions will help you to create with a different Birthday Inspiration Challenge each day. These charities need birthday cards of all kinds: child, adult, baby, so send in your funny, sweet, pretty, elegant, works of art and know that you will be brightening someone's day in a way only a handmade card can do. 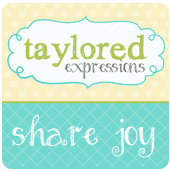 To get all the details on how to participate, please hop over to the Taylored Expressions Blog. This is the final challenge of the week, and it is an inspiration photo challenge. Photo is courtesy of the fabulous, Wanda Guess! For my sample, I used CreativiTEA. 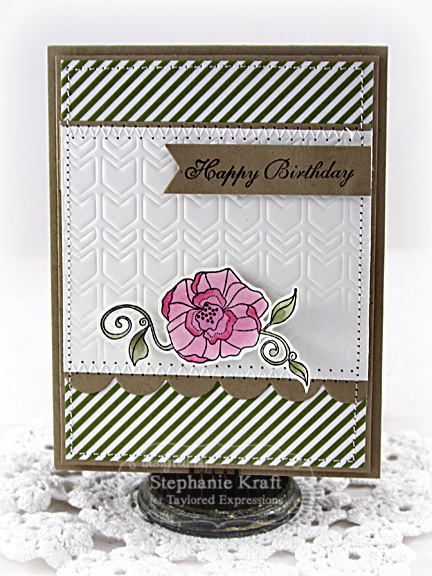 I used the Chevron Cutting Plate to emboss my background. There are other DT and alumni who have made samples for today. Please make sure to visit the Taylored Expressions Blog to see the full link list! Accessories: Taylored Dies: Banner Stacklets 1, Chevron Cutting Plate, Medium Scallop Border (TE); Markers (Copic), Foam tape, Thread, Sewing machine. Very pretty! Love that embossed background! Beautiful card Steph. 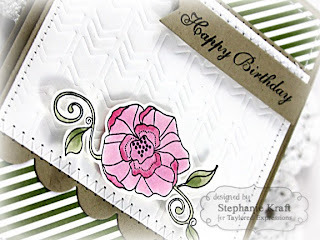 Love the white dry embossed background with the pretty flower image. Such a pretty card Stephanie! The embossed background looks fabulous! Gorgeous card, Stephanie! Love the CAS feel, yet there's some fresh layers in there as well...so so pretty! The embossed background is fab too!